Music Minus One Trumpet. Composed by Various. Sheet music. Music Minus One. Classical, Contest. Softcover Audio Online. 16 pages. Music Minus One #MMO3814. Published by Music Minus One (HL.400721). 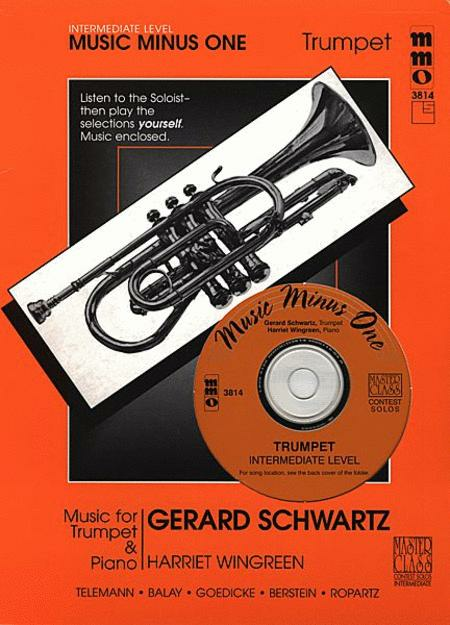 Legendary Gerard Schwarz takes you further into the intermediate repertoire with this master class of wonderful intermediate-level solos on trumpet. Learn from one of the great masters of the medium what it takes to become a pro! Includes a printed music score annotated with performance suggestions and access to online audio with complete versions (with soloist) followed by piano accompaniments to each piece, minus the soloist.